If you’re having a small celebration, our doggie PUPcake is a mini-version of our Yappy Birthday cake! 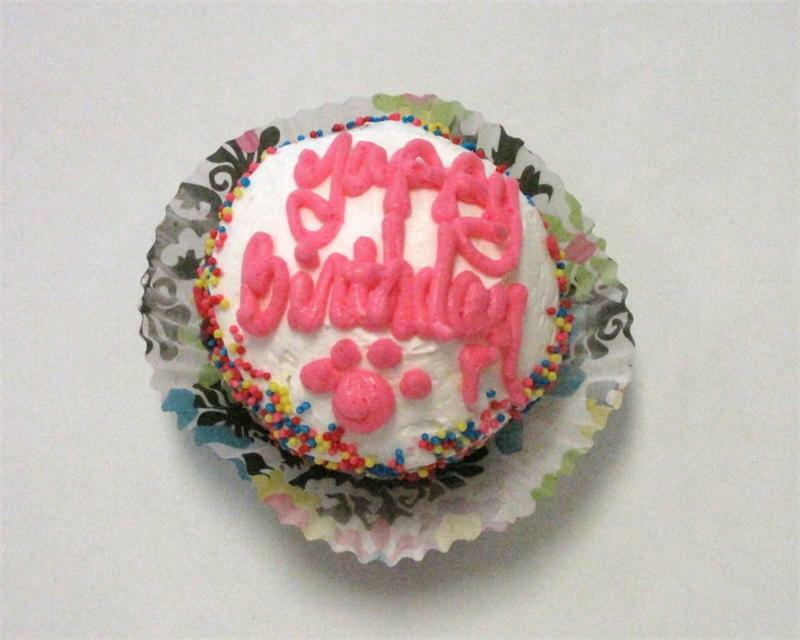 Decorated with a paw print and sprinkles, there’s enough delicious cake for two. Ingredients: Bread flour, rye flour, eggs, vegetable oil, carrots, baking soda, baking powder, cream cheese, and canola oil.